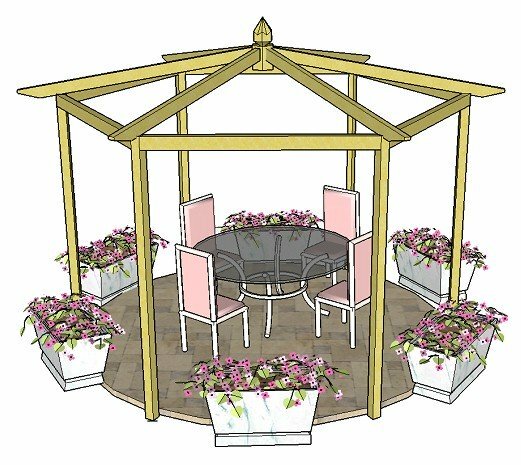 Being based on a circular pergola makes it very cosy and welcoming; ideal for both relaxing and entertaining. 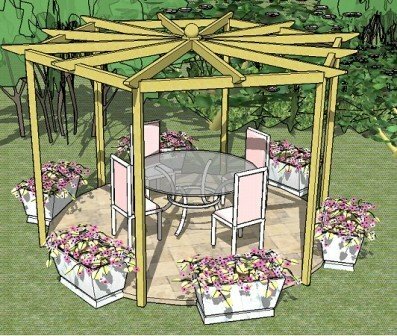 Add really interesting garden furniture and planting to enhance the effect even more. 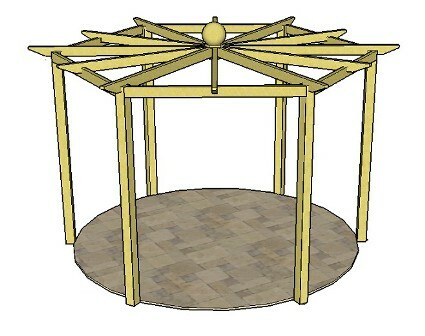 I developed these plans for a visitor to my site, who wanted a hexagonal pergola in his garden. 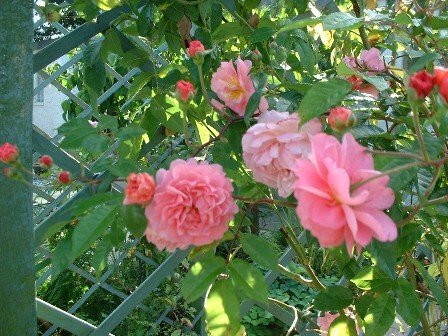 Using this idea as the basis, these plans were born! 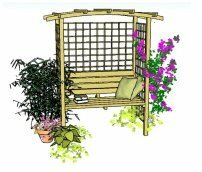 As always, it was important for me to create plans that could be easily understood, and to show how to construct the pergola in several different ways, in order that the plans could be adapted to suit everyone's individual taste and style. 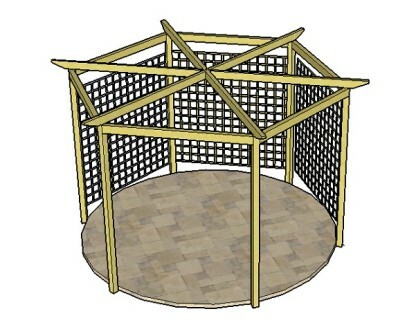 There are several ways of constructing this design to fit any style preferences and situation. 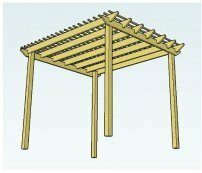 This pergola has six radiating rafters that sit fully on the top of the supporting structure. 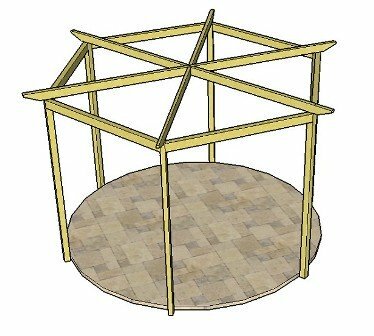 It's very easy to build this way, as there is very little notching. 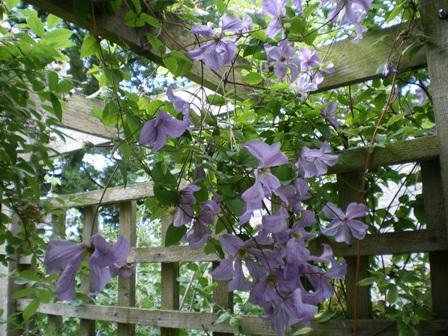 Trellis panels add shelter and more places for beautiful climbing plants to grow. 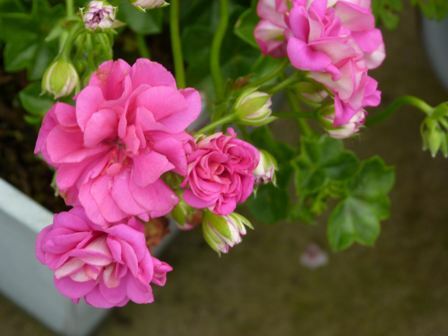 Have fabulous rafter tail end designs. All set and raring to go? 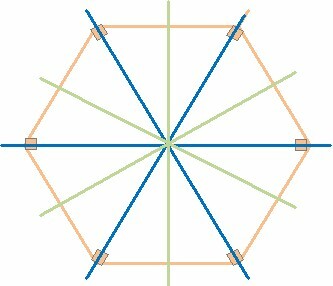 Construction templates for the braces and centre joins. Just click 'Add To Cart' and it will take you through the download process.